There are some very cool AI solutions coming out of Israel right now. Anodot joins a few very impressive start-ups that could make a big impact on the enterprise. An algorithm that identifies what are anomalies, and can find them in very, very large scale, helps companies actually detect that things are going wrong or detect the opportunities that they have, that they might miss otherwise. Waze will be integrating Anodot’s real-time anomaly detection platform across its system to improve app performance by identifying potential pitfalls before they affect users. Anodot’s global growth comes as no surprise, and will be accelerating its demand in the UK market. CRN included Anodot on a list of 30 business analytics software companies highlighting highly sophisticated software for tackling the most complex data analysis problems. Anodot uses Amazon Kinesis to make it easier for clients to flow data into Anodot’s analytic programs. Anodot’s automated machine learning algorithms continuously analyze all business data and provides alerts in real time whenever an incident occurs, even for questions never asked. 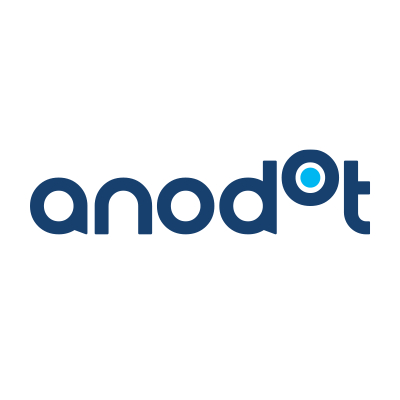 Anodot enables Outfit7 and other gaming giants to continuously track business and technical data and receive real time alerts of incidents.